We’d all probably love to have a job at Nintendo these days, but back in the 1950s – when Ninty was a manufacturer of playing cards (specifically, a popular Japanese game called ‘hanafuda’) – things were a little different. Decades before its move towards video games, the firm was going through some internal struggles, which led to its third president, Hiroshi Yamauchi, transforming the company with a raft of new reforms. Those reforms, which were brought to light in a recent article by Kotaku (and expanded upon in the book The History of Nintendo: 1889-1980), saw Yamauchi close some factories down in an attempt to centralise Nintendo’s output. The company’s labour union wasn’t happy about this upheaval, eventually leading to it to go on hunger strike in protest. 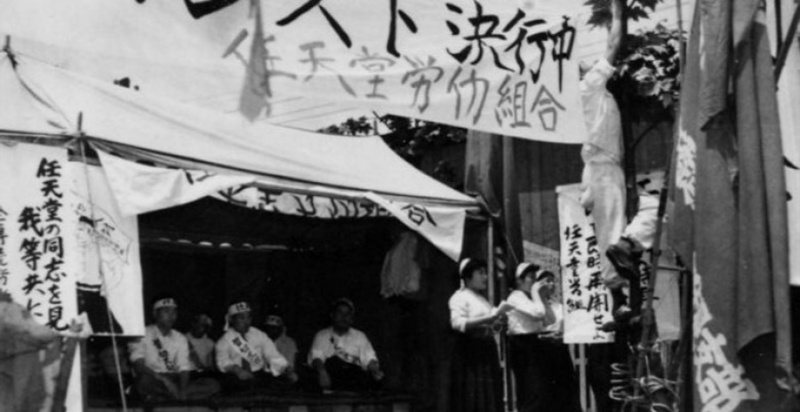 Yamauchi refused to back down, and eventually the protest fizzled out. Should a criminal record ban you from the sharing economy? What'd you spend your money on: Google Pixel 3 or LG V40?